L’Escape St Lucia is a well appointed solid stone building constructed about 10 years ago. 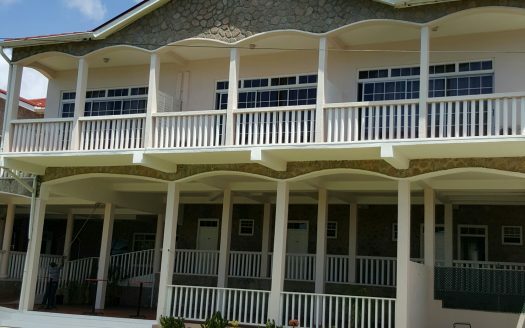 This beautiful building houses 22 guest rooms, restaurant and bar fully equipped kitchen, beautiful landscape and magnificent views of the Piton and Saint Vincent. Having a strong existing local clientele the property is ideal for wedding parties, sporting groups and small conventions as well clients looking to experience the beauty of the South of St.Lucia. The freehold interest is being offered at US$1.5M. Through a separate entity specialist services can be provided in the sale and financing of hotels, resorts and related real estate in the Caribbean. This entity has assisted clients, including major banks, owners, investors and developers, in the acquisition, financing, and sale of hospitality properties throughout the Caribbean, including hotels, mixed-use resorts, marinas, and green-field sites with potential for hospitality or other leisure and tourism use. Our network of local contacts ensures that we have accurate knowledge of current property values, of the development pipeline and of viable equity and debt structures. Our presence in London and strong contacts in New York, provides us with access to both debt and equity capital interested in making investments in the region.